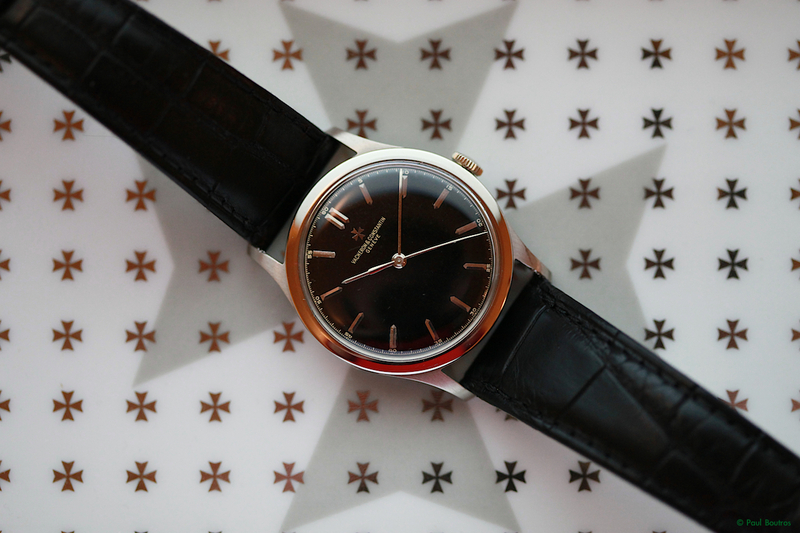 This is a reference 4217 in white gold with black dial, dating to the late 1940s. Inside is a manual-winding caliber 453 with 18 jewels, stamped twice with the Geneva Seal. I love the simplicity of the dial - especially its applied, faceted markers and Maltese cross logo.